When a new feature is published on the products we use, “Which partners can we use this feature for? What will be the effects of this feature? What kind of strategy should we create?” questions are beginning to appear in our minds. If you are a marketing and tech savvy like us, I believe that you are looking for opportunities to be the first to learn about news in the industry and to use these new features. Since we are a team that does not hide what they have learned, and even a team that is dying to share, we decided to share with you the updates in Google Analytics 360 & Google Marketing Platform products every month. 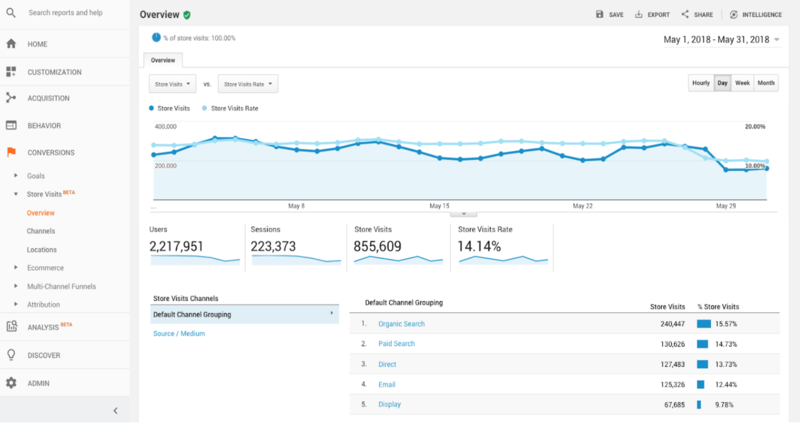 Welcome to Google Analytics 360 & Google Marketing Platform Updates blog series and leave you with the February 2019 updates. Store visits feature enables to understand the online to offline customer behaviour by uncovering which online channels (paid and unpaid) drive the most traffic to physical stores by using the last click attribution model. Store visits are estimates based on data from users who have turned on Location History. Only aggregated and anonymized data is reported, and any store visits from individual website visits, ad clicks, viewable impressions, or people are not shown. Single Search unifies search experience in Analytics. Users had to use different search boxes for different purposes before. Now, it is possible to search for reports, get answers from intelligence, or look for articles in Help Center all from one universal search box. Launching to all accounts with English language setting on February 20th. It will be rolled out to other languages soon. 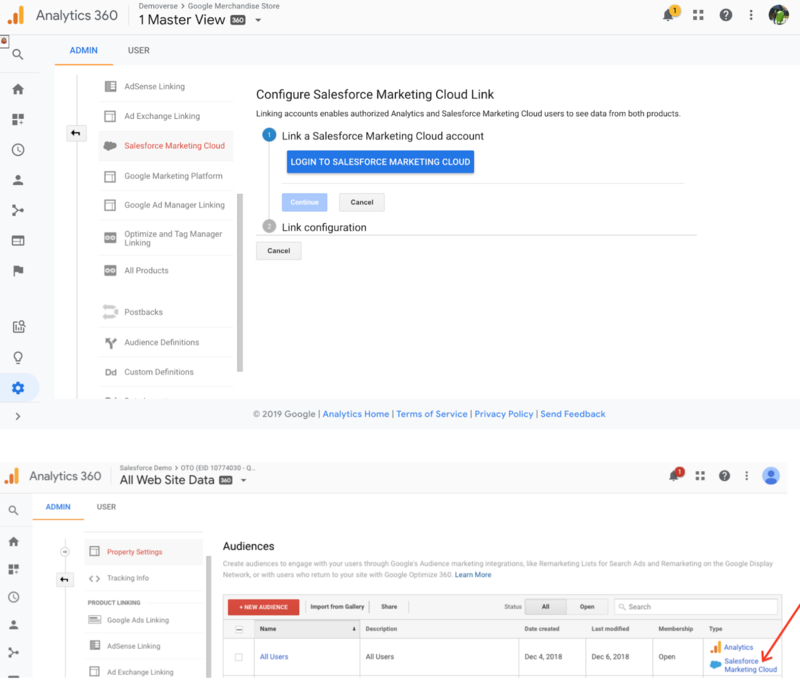 Analytics 360 clients now see “Salesforce Marketing Cloud” as a new product link option in the Admin panel. Integration SKU cen be purchased from Salesforce and integration can be activated in a few easy steps. With this launch, Analytics 360 audiences can be enabled in Marketing Cloud on Salesforce direct marketing channels (email and SMS). 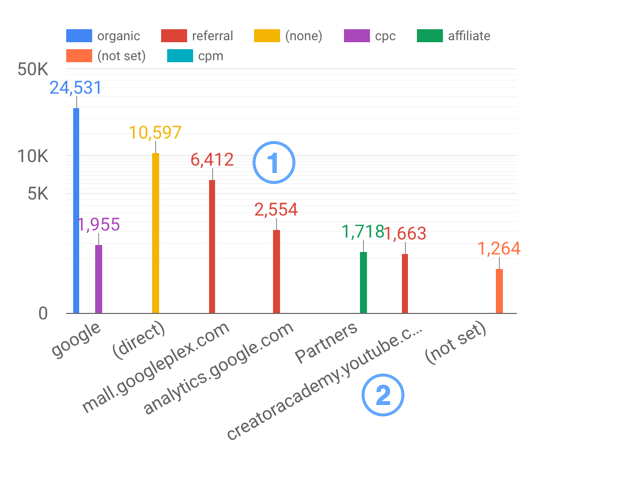 When a user clicks to a website from a Marketing Cloud campaign where Analytics auto-tagging is enabled, Analytics automatically detects the Marketing Cloud Subscriber ID and keep it with other Analytics first-party data. Any audiences that created in Analytics and published to Marketing Cloud are populated in Analytics and surfaced in Marketing Cloud as a list of Subscriber IDs. Audiences that include data derived from Google signals, including age, gender, and interest category, cannot be exported. It can take up to 24 hours for audiences to be visible and available for targeting in the Salesforce Marketing Cloud. All Google Ads accounts are now opted in to Parallel Tracking. Parallel Tracking removes the dclid parameter from clicks from DDM click trackers that are trafficked in Google Ads. This affects all Search and Shopping campaigns. Today, when someone clicks on an ad, it may take a few seconds to load the landing page due to intermediary tracking (like 3rd parties such as DS, Kenshoo or Marin). With parallel tracking, the landing page loads immediately after the user clicks on the ad, while tracking is done in the background. This means that the landing page will load faster and users will be less likely to return back after clicking on an ad. Google Ads integration: No impact. Impression time gclid is passed on redirect URL & Analytics joins with the latest click on impression. SA360 integration: Campaign Manager dimensions will no longer be populated because they depend on the dclid parameter. SA360 specific dimensions will not be affected because they rely on the gclid. DV360/CM integration: Ads that are trafficked through Google Ads will show up in the Acquisition reports as google / cpc. However, Campaign Manager dimensions for these ads will be lost. For containers that have a large number of tags, triggers, and/or variables, or have large custom HTML tags, the information about the container size can be seen in Tag Manager on the Versions page. Size (percentage) of each container version created can be seen in the container list and details view. The container version size is NOT displayed until one version reaches 70%. Container size can only be calculated after a full compile. Therefore, this feature will not explicitly indicate the size of a single tag or workspace. Container size information data will be present for versions created after January 15, 2019. However, size data of older versions will take place in a few weeks. Reports can now be downloaded as PDF with filter controls, date ranges, table pagination, and data control settings. Raporlar artık filtre denetimleri, tarih aralıkları, tablo sayfa numaraları ve veri kontrol ayarları dahil edilerek PDF olarak indirilebiliyor. 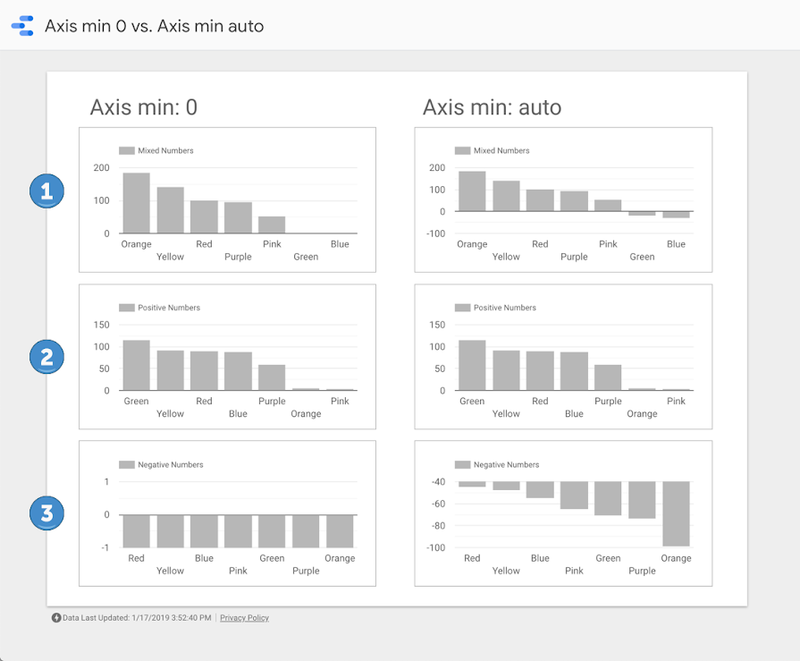 Font size of chart axis labels and data labels can now be changed. This new setting are available for bar, line, scatter, and area charts. Custom date ranges can now be compared in charts. Custom date comparison allows to compare the currently selected period to another custom period. Comparison period is fixed by default. It means that chart always compares to the exact dates specified. This can be changed by setting the comparison interval to be a date range that advances over time. Cartesian charts are now using the auto setting for the minimum axis value by default. This option is a better solution for charts that show negative or mixed numbers. These are the updates about Google Analytics 360 and Google Marketing Platform in February 2019. Feel free to leave a comment if you have any news or updates you want to add or share. See you soon at our “March 2019 – Google Analytics 360 & Google Marketing Platform Updates” post. For more information about Google Analytics 360 and Google Marketing Platform products, you can reach us at iletisim@semtr.com and follow our social media accounts below to be informed about our blog posts. Google Analytics 13 Dec 2014 What is your Google Analytics IQ?